What can Japanese Companies do Right Now? There is a growing interest in sustainability worldwide. Textile and fashion companies are moving forward, constructing manufacturing and supply chains for sustainable industrial and corporate growth using the techniques and knowledge they have accumulated, as well as building a global environment and society that will continue into the future. Activities to solve societal problems are now important management strategy issues, not just societal contributions from corporations. There is a lot that Japanese companies can do to become companies that proactively take on the challenge of sustainable manufacturing. Here is one such example. The first question when moving towards sustainable manufacturing is the choice of materials. There is a tendency to lean towards textiles created using organic techniques, or recycled fabrics, but Japan, leading the world with chemical synthetic fibres, has a rich selection of alternatives. This includes the regenerated cellulose fibers created only in Japan, Cupro and Soalon. They have a naturally-derived gentle texture, while having functionality not found in natural fabrics, making diverse expression possible. Cupro is a regenerated cellulose fiber created only by Asahi Kasei Corporation. 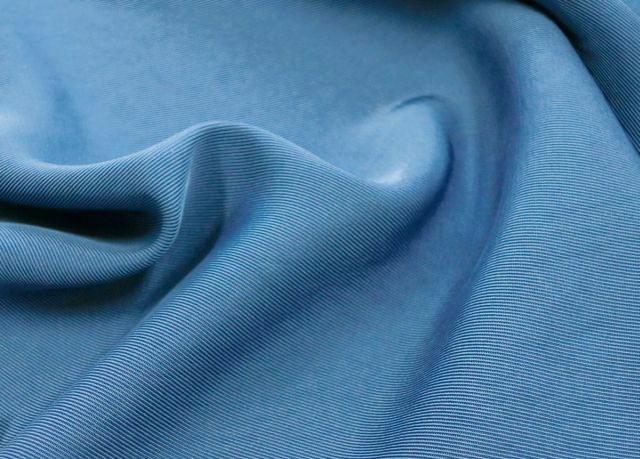 A cross-section of the fiber is characteristically close to a perfect circle, smooth, with a high-quality lustre and excellent colour①; this fabric also has superb moisture absorption and desorption. Cotton linter② is used as a raw material. 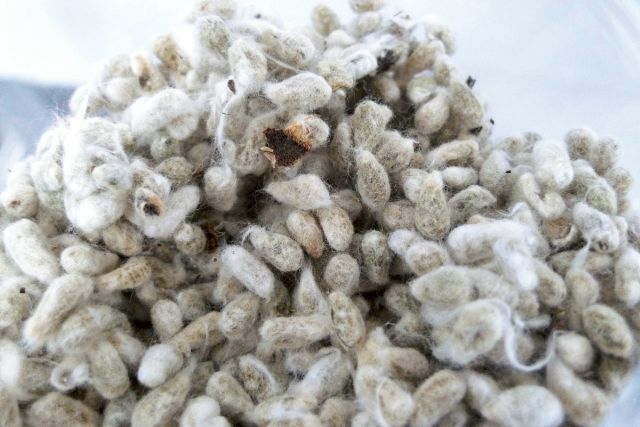 This is the part of cotton not normally used to make fabrics: the short, downy fibre surrounding the cotton seeds. Even if it is thrown away, it is non-toxic, and is biodegradable when buried in soil③. Through Cupro, Asahi Kasei Corporation has received many different international certifications and appreciation related to ecology, such as the GRS (Global Recycled Standard), the LCA (Life Cycle Assessment), and the OEKO-TEX STANDARD100. Even in the production process, sustainable initiatives are stressed. The Cupro Plant in Nobeoka City in Miyazaki Prefecture utilises company-owned power generation equipment, which is 33% hydraulic power and 6% biomass, providing around 40% renewable energy. In addition, the company aims for zero emissions, using the fiber-waste created in the production process as fuel for power generation, and completely recycles waste materials. The company also makes efforts with societal initiatives and fostering human resources. They are participants in the Business Call to Action from the UNDP (United Nations Development Program), contributing to technical training and equipment in small-to-medium-sizes factories and supporting university education in India, which has close connections to the supply of raw materials and fabric sales of Cupro. “There were still people who did not know about the raw material we use, even in the industry. We were sometimes requested by customers overseas to ‘explain about your sustainability’”, the company says. They renewed their website to promote an understanding of the features of their raw material and its sustainability. They enhanced their appeal with a united brand concept at Première Vision (PV) Paris, PV New York, and Intertextile SHANGHAI. Soalon is a triacetate fiber manufactured only by Mitsubishi Chemical Corporation. 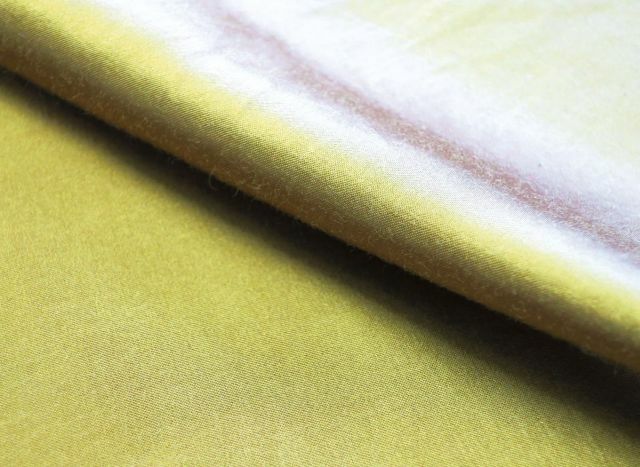 It is characterised by a high-quality lustre, vivid colouring and a soft texture, and is endorsed by luxury-brands in Europe and America as a high-class textile for womenswear. Its high potential for pleating not found in natural fabrics is also a reason for the popularity. Recently, the features of sustainable materials have started attracting attention. The raw material of Soalon fiber is natural pulp, and the acetate factory in the Toyama Plant, which manufactures Soalon, is FSC (Forest Stewardship Council) certified. The first time this sustainability was used for promotion was at PV Paris in September 2017. In textiles, too, Mitsubishi Chemical has enhanced the mixed-weave composition of materials favoured for their ecological properties, such as TENCEL, a cellulose fiber, and organic cotton④. It is the sports field that leads in launching ecological materials. This is because, in addition to the original outdoor brands that attracted high interest levels, the major brands in Europe and America are increasing their provision of ecologically compliant materials. Recycled or bio-based raw materials, non-fluorine water-repellents, biodegradable etc. ; we notice new proposal almost every season, and it is essential for the manufacturers to address this area. As microplastics, which do not break down in the ocean and thus remain in the water, become a worldwide issue, TEIJIN FRONTIER CO., LTD. has said that, “Even overseas sports brands have suddenly begun to pay attention to this in the past year.” Plastic products and vinyl are said to be the main cause of marine rubbish, and this has had an impact on textile products. For example, sports brands, concerned about the production of waste fiber, have started to raise a need for alternative materials for thick, nap-raised synthetic fleece. 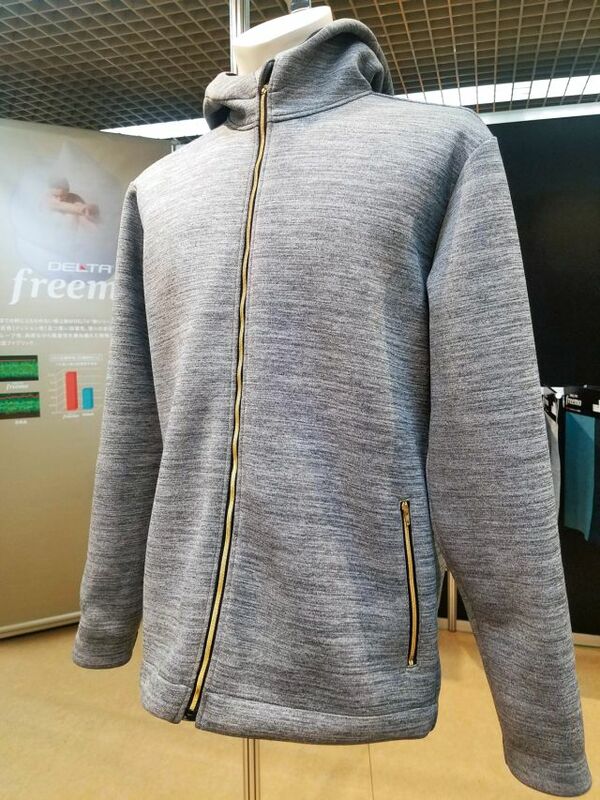 TEIJIN FRONTIER CO., LTD are considering developing a sweatshirt-type garment, made of light, thick DELTA with a sponge-like feel⑤, as a core product which will appeal by using warm materials instead of fleece. They have been focusing their attention on the importance of expanding the use of recycled polyester, and developing chemicals and material recycled yarns with unique threads, such as fully dull, cationic dyed thread. With the technical issues solved, these are being promulgated with strategic materials such as ‘DELTA’. The Ecodear series, made from biomass-based polymers by TORAY INDUSTRIES, INC., was brought out in 2013, and also suggested for sports. 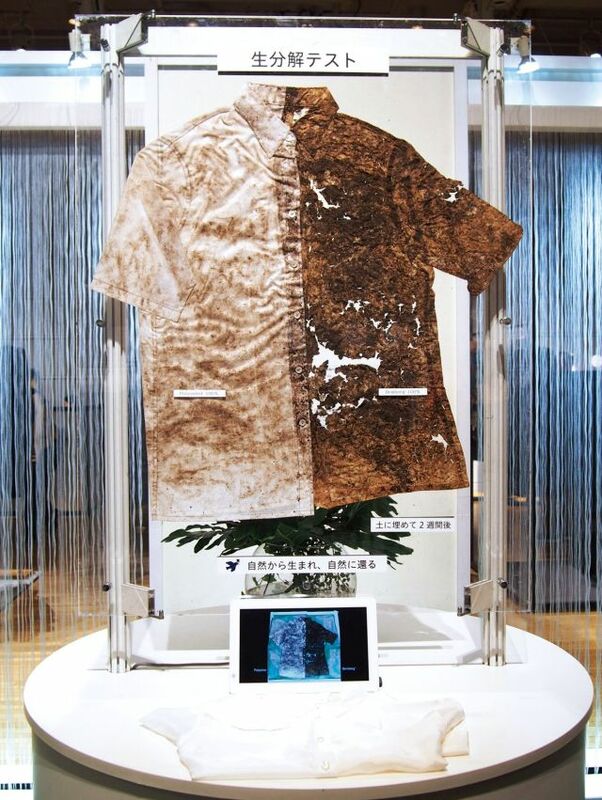 Variations, mainly from Primeflex, a stretchy raw material from PPT (polytrimethylene terephthalate) fiber and the partially biologically derived polyester Ecodear PET, are spreading, and in the spring/summer shows of 2019, 40% of the exhibition will be made up of Ecodear materials. Mass production of 100% biologically derived Ecodear PET is on the horizon, and its use will expand across the whole company. UNITIKA TRADING CO., LTD. is aiming to mass-produce CASTRON, nylon 11 completely derived from plants. Ricinoleic acid collected from the non-edible seeds of the castor-oil plant is the raw material, and this product is superior to normal nylon 6 in wear resistance and dimension stability. The company started with industrial materials, but developed 40 and 70 denier yarn for clothing, and is strongly encouraging it to be adopted officially. Meanwhile, they are swiftly moving to switch to C6 fluorinated water repellents, which do not include PFOA (perfluorooctanoic acid), which has caused concerns about its impact on people and the environment. As the C6 has lower potential water repellence than the formerly-used C8, each company is using advanced processing measures. 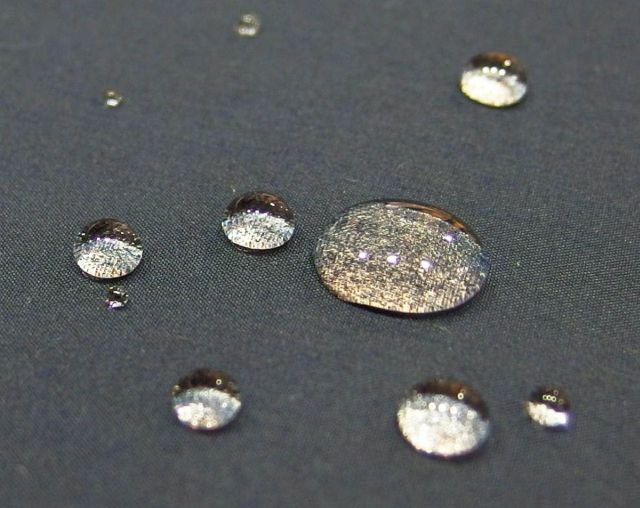 With their persistent water repellent material TACTEEM⑥, UNITIKA TRADING CO., LTD. uses micro-crimp thread and encourages water droplets to roll with the uneven surface of the fabric. Further, need has arisen for the water-repellent known as ‘C0’, which does not use fluorine at all. TORAY INDUSTRIES, INC. and TEIJIN FRONTIER CO., LTD. are already creating products with this, but there is an issue in that it is not oil-repellent. Both companies are continuing with their efforts, aiming for both ecology and functionality. For the manufacturers and retailers who create and sell fashion products, the ideal is to offer the right product at the right time, to meet the needs of diversifying, fragmenting consumers. In order to fulfil this ideal, proposals for solutions that use advanced technology such as the IoT or AI have become hot in Japan. Questions have been raised about business that operate on a mass production model, with their accompanying excess inventory and mass waste disposal. 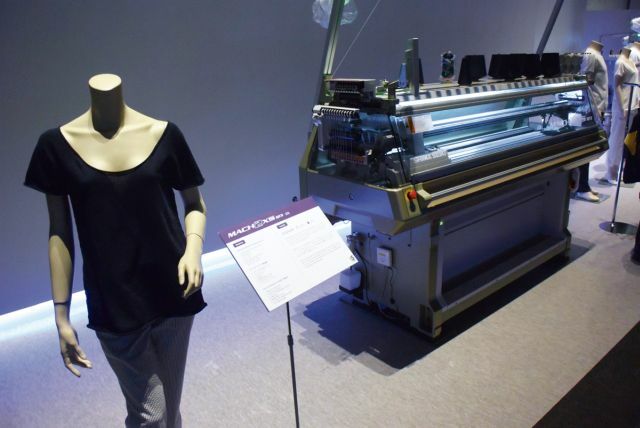 SHIMA SEIKI MFG., LTD., a manufacturer of flat knitting machines worldwide, has introduced various innovations such as the unsewn knitted WHOLEGARMENT, and the SDS-ONE APEX3 design system. This company, which celebrated 55 years since its founding last year, has put out the message that they are contributing to sustainability through innovation in the fashion industry⑦. The company has proposed a total fashion system as a structure to contribute to sustainability and mass customisation – a system where planning, production and sales are closely linked. For example, they create their designs using the Staf（Shima Trend Archive & Forecast）web service, the contents of which encompass fashion archives, trend information, knitted products and materials, and images from the past 50 years. Based on these designs, pattern-making and virtual samples are created using SDS-ONE APEX3⑧. 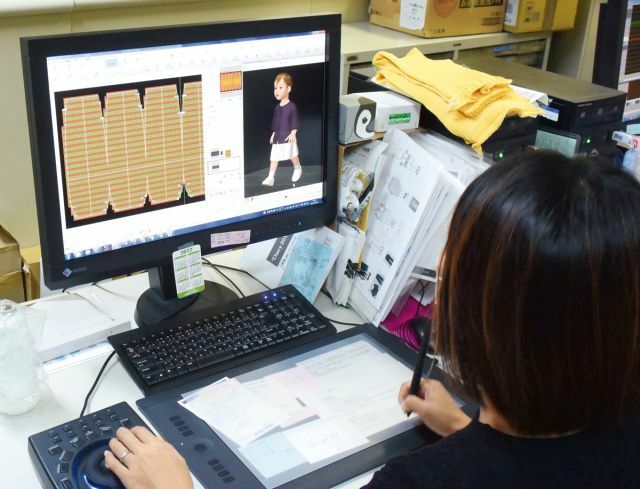 By carrying out exchanges of samples digitally, the time taken to create samples is vastly reduced, and since organised data on the knit is created as the same time as the design with the SDS-ONE APEX3, an efficient production schedule is created with Shima KnitPLM. If you knit with a WHOLEGARMENT flat knitting machine, mass customisation is also possible. It is possible to get feedback on demand estimates in the production program. Applying sales promotions on virtual samples, such as digital signage and the virtual showroom, is also possible. Using data from pre-sales etc. for demand estimates and reflecting this in the production schedule, they make manufacturing without waste into reality. Their flat knitting machine itself allows sustainability-conscious progress. The latest WHOLEGARMENT flat knitting machine, the MACH2XS123 series, is newly equipped with a dual comb that ensures zero waste knit⑨. In order to create short knitted sleeves with a differing length to the body of the garment with conventional flat knitting machines, it was necessary to undo and throw away only the unnecessary part, the ‘waste knit’, after first creating long sleeves the same length as the body. However, with this development it has become possible to contribute to the reduction of unneeded thread. With this kind of innovation, the company prevents a decrease in product values related to long lead times, and solves the issues of waste and loss resulting from the creation of samples and mass production, allowing sustainable fashion to become a reality. 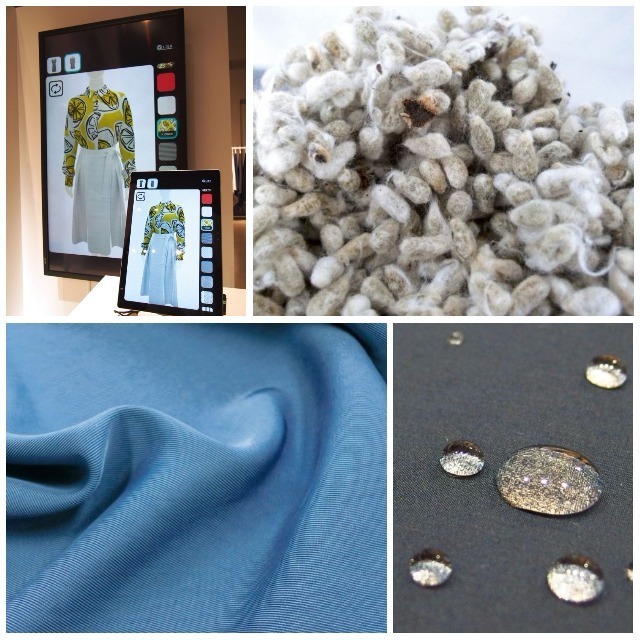 SEIREN Co., Ltd. carries out all processes relating to clothing manufacturing in-house, from thread to weaving, knitting and sewing, and have constructed a business model capable of small batches and quick deliveries, that is inventory-less, on-net, and allows customisation by integrating advanced technologies: IoT, AI and Big Data. Their digital production system, Viscotecs is becoming the foundation for company development. One example is the virtual design software @LIER⑩. 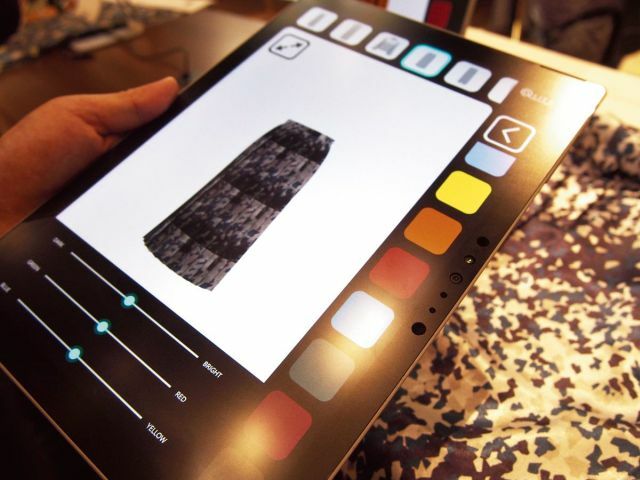 Users are able to select items, silhouettes, and colours and patterns on their computers or tablets, confirm their completed product-sample image on the screen, and even place orders. Users can use the thousands of types of print archives maintained by SEIREN Co., Ltd. for the pattern, but it is also possible to import an original design⑪, too. They can also freely change the hue, brightness, and the size and arrangement of the pattern motif. The order data is sent online to the SEIREN Co., Ltd. Fukui plant, and the designated colour/pattern is printed as grey goods using digital printing. It is cut using an automated cutting machine, consistent up until sewing. Since this allows the company to reduce the cost and time of experimental production and inspect the product to their heart’s content, we can also expect the precision of their planning to improve. With features aiming to be solutions at the point of sale, they have even started selling this to SPA and retail shops as personal order software. 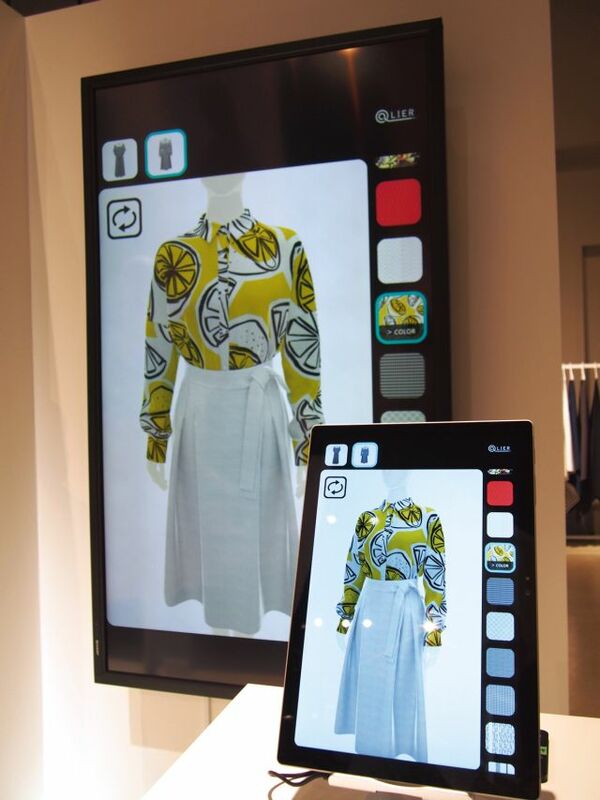 If tablets with @LIER installed are introduced to shops, customers will be able to try out patterns and colours on-screen that are not available in the shop. Thus, the company will be able to sell products that meet customer wishes without the need for an inventory. For example, even if there are only yellow shirts in a shop, customers can pull up red or blue versions of the exact same product on-screen, and confirm the image. SEIREN Co., Ltd. leverages their background to provide a comprehensive service from manufacturing to delivery. The company can also accumulate requests from customers and sales results from product development as data, and utilise it for future product planning.